For most of her life, Annie Glenn, wife of former astronaut and Senator, John Glenn, was afflicted with an 85 percent stutter, meaning she would become “hung up on 85 percent of the words she tried to speak, which was a severe handicap,” as John put it. Others were large. As The Post reported, once her daughter stepped on a nail. As blood gushed out, Annie couldn’t speak well enough to call 911. Instead, she found a neighbor to make the call. She spent the early years of their marriage avoiding the spotlight. While John seemed to enjoy the television cameras, she clearly cared more for her privacy. The enrollees weren’t allowed to call friends or family for those three weeks. When it was over, Annie picked up the telephone. She was 53 years old, and she had found her calling. Annie began giving speeches on behalf of her husband when he ran for Senate. After each speech, she would rush to greet those everyone else ignored — the disabled. Defined by the American Speech-Language-Hearing Association (ASHA), a communication disorder is an impairment in the ability to receive, send, process, and comprehend concepts or verbal, nonverbal and graphic symbol systems. A communication disorder may be evident in the processes of hearing, language, and/or speech. A communication disorder may range in severity from mild to profound. 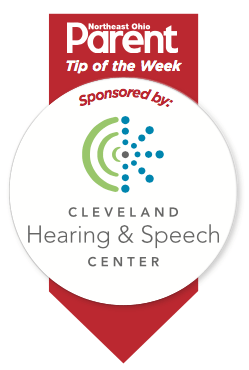 If you suspect that you, or someone you know, may have a communication disorder, contact the Cleveland Hearing & Speech Center for more information or an evaluation: chsc.org or 216-231-8787. Previous article aParently Speaking Podcast Coming Soon!